The following selections cover a wide variety of styles (jazz, blues, country) and moods (playful, impassioned, sinister, melancholy), but they share an emphasis on spare arrangements with deeply relatable vocals. 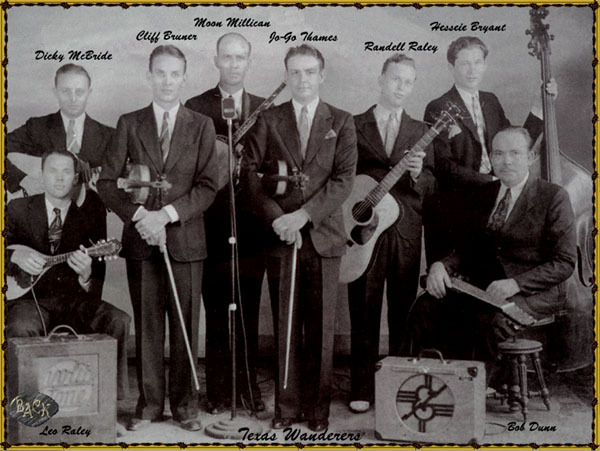 These records foreshadow the coming shift to the singer-centric recordings that would take over popular music after World War II, and they lay the groundwork for the fundamental changes that would create all new styles like honky tonk and rock and roll. As this record comes to an end, Bulee “Slim” Gaillard and Leroy “Slam” Stewart can be heard commenting on what they’ve just performed and one of them remarks, “That’s a killer!” A better review could not be found. “The Flat Foot Floogee” (originally titled “The Flat Fleet Floogee”) is a remarkably swinging record, and yet freely breaks from the usual trappings of swing music. 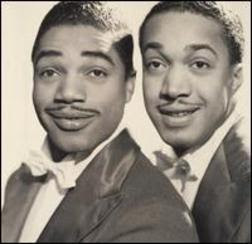 The duo’s singing is firmly rooted in the “jive” style exemplified by Cab Calloway, and like Calloway they pepper the record with seemingly nonsensical phrases that actually have meaning to them. (“Floogee” was supposed to stand for “floozy,” and “floy floy” was slang for “venereal disease.”) The song is perfectly enjoyable – maybe even more so – without knowing this, however, and indeed much of the singing really is nonsensical scatting. Unlike Calloway, Gaillard and Stewart’s style is much more laid back in its delivery. Adding to the relaxed feel is the small-group accompaniment – guitar, bass, piano and drums – which is mostly just used to provide a steady rhythm during the first minute of the song. The instruments occasionally pipe up to add emphasis during this part, but most of the work is done by the vocalists, with one of the duo singing and the other either singing along or behaving like an instrument by scatting in the background. The second part of the song features two outstanding solos. The first is by Stewart, who was a master of the bowed bass. What makes the performance even more remarkable is the way he hums along, voicing the same melody an octave apart from his playing. The second solo is by Gaillard, whose main instrument was the guitar, but played many instruments. Here he plays the vibes, and both vocalists freely comment throughout: “Solid, man!” Both solos retain the laid-back feel of the rest of the song, something that would not be as easy to do in a larger ensemble. While that mellowness and the hipster lyrics make some people dismiss Slim and Slam’s work as novelty or fluff, to do so is a mistake. This is a unique and well-played record that just happens to be immensely entertaining, and it was an influential step on the road to creating jump blues and eventually R&B and rock and roll. Part of what I love about Sonny Boy Williamson’s music is the passion of his performances. There is loads of talent there, but his musical ability always takes a backseat to the sheer power of his delivery. “Whiskey Head Blues” is a particularly enjoyable example of this. Guitar and mandolin bounce along sloppily underneath, while Williamson gives a soulful, spellbinding performance. At times, it sounds like he’s not even trying to make a record, he’s just wailing (with his harmonica as well as his voice) and lamenting his lover’s drunken ways: “Well, now every time I see you, you’s at some whiskey joint / Standin’ at the back door, askin’ for another half a pint.” Of course, Williamson’s genius is that he pushes the boundaries just far enough, keeping the music jagged around the edges but never so sharp as to be off-putting. In fact, for blues fans, this is just the opposite: an utterly riveting, essential record. Unfortunately, this would be the last of Johnson’s recordings released in his lifetime. In August of 1938, he would be poisoned, apparently by the jealous husband of a woman he flirted with, and would die a few days later at the age of only 27. 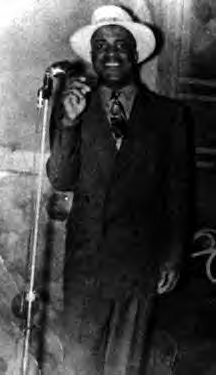 Cliff Bruner was a fiddle player in Milton Brown’s pioneering western swing band until Brown’s untimely death in 1936. Afterwards, Bruner formed his own group, the Texas Wanderers, and experienced a good deal of success on his own. “It Makes No Difference Now” (written by Floyd Tillman) was his biggest hit, and listening to it you will understand why. While it is clearly rooted in western swing, this record reflects a sparer, more intimate style that would directly influence the “honky tonk” music that would come to dominate country music. This is not lively music to dance to, but something to feel in your gut. To use a country music cliché, it was music to cry in your beer to. The background instrumentation features a crazy swirl of steel guitar (by Bob Dunn) and piano (by Aubrey “Moon” Mullican), but the emphasis is placed firmly on Dickie McBride’s melancholy, baritone vocals and Leo Raley’s striking electric mandolin. Both of these are slow and deliberate, making the listener pay attention to the narrator’s tale of a recently ended love affair: “Now that we have really parted, I can’t believe we’re through / I don’t blame myself, and I’m sure I can’t blame you.” It is a simple, direct and flawlessly executed performance, and one that every honky-tonk fan should know.